This is a step-by-step guide on how to create an eBay listing template in Kyozou. You will learn how to create a listing template using existing Kyozou templates or upload your own template. STEP 1- Go to Administration> Control Panel> Step 10 and click on “Design Master / Template Builder”. You will be redirected to a new page where you can create an eBay listing template (click the image below). STEP 2- In order to create a listing template, start by providing a name for your listing template (click the image below). 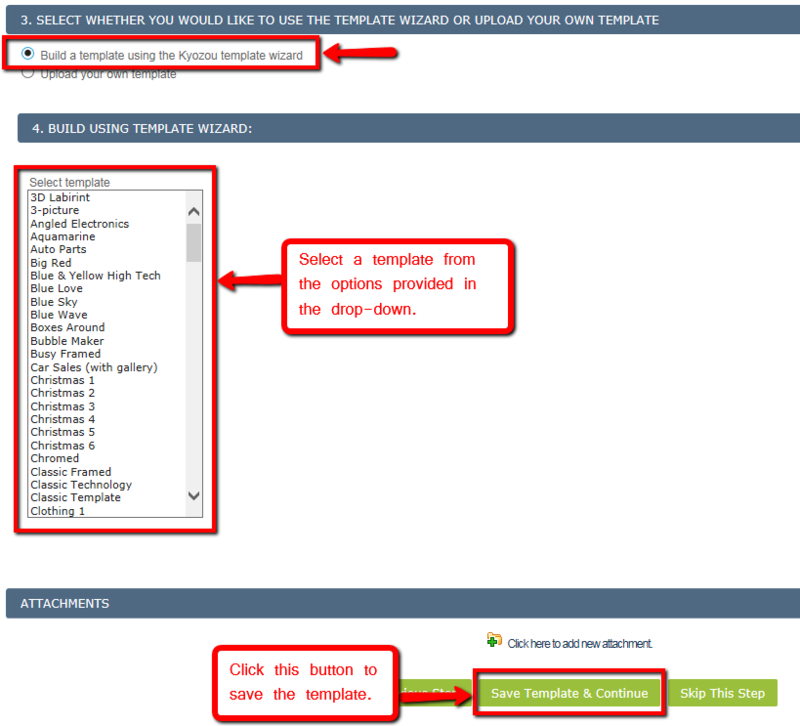 a) Build a template by using the Kyozou template wizard: Choose this option and you will be provided with a list of existing templates from Kyozou. Select a template of your choice and click “Save Template & Continue” (click the image below). The template will be added to the list of templates under STEP 10.
b) Upload your own template: Choose this option and click “Browse” to upload your HTML file. Once you click “Save Template & Continue” button, the template will be added to the list of templates under STEP 10 (click the image below).